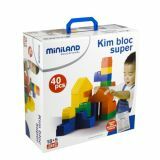 Traditional blocks made of high quality and resilient plastic. It includes wheels to make vehicles. 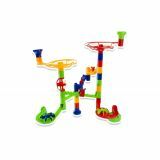 The activities aid in the development of core cognitive and motor functions. 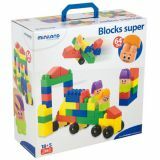 Large, tough and durable blocks include wheels to construct vehicles and characters to delight the youngest builders. Parents and teachers alike appreciate their versatility and durability. 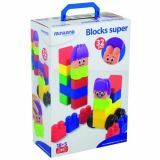 Using these blocks in a classroom will encourage socialization skills. This item also has a free digital component found on playminiland.com where you may find lesson plans and downloadable/printable activity cards. You may also access an online game that complements this toy. 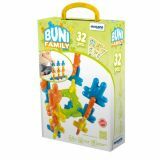 Small plastic bunny and connector pieces are resilient and durable. Includes a teaching guide. 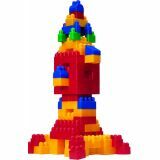 Promote the developmental skills of problem-solving and spatial relations. 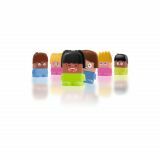 A set of characters with interchangeable pieces which enable children to freely create likeable characters: there are over 100 possible combinations. This game comes with activity cards and is an entertaining tool to help children become familiar with the main emotions. The game is designed for children aged 2 and over and is based on the following characteristics:Recognition and identification of facial gestures. Recognition and identification of basic emotions. Learning of values: tolerance, empathy, racial diversity. Acquisition of vocabulary. 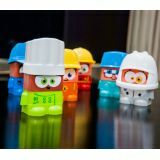 Large size pieces made of flexible and durable plastic. Easy to assemble and easily handled. 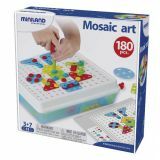 It includes a teaching guide with activities promoting motor and visual skills. Marble circuit which provides infinite number of assembly combinations. 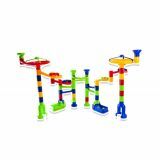 It is fun to make the marbles slide down the different tubes, rails, roulette circuit and small modules with scoops which divert the ball from its path. 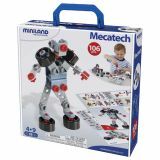 Game of mechanical constructions with multiple assembly possibilities. We highlight the quality of the materials and the large guide files, which allow you to create different models step by step. It includes several formats of flexible platelets, pins, shafts, screws and nuts and various wheel sizes. The combination of all of them multiplies the possibilities of building pieces of varying complexity according with the wit. With Mosaic Art you can build on 2 dimensions upon a sturdy mounting bracket, which at the same time is the top of the container where the content is saved. It includes various formats of platelets and strips with different designs, plus screws and screwdriver to secure the assemblies. This valuable collection includes 12 different activities, represented in large sheets that complement the game. 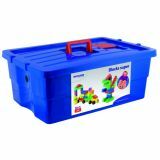 The practical container boxes will help you organize all the pieces.